Torry Holt is a Super Bowl champion, a seven-time Pro Bowler and led the NFL in receiving two times. He was named to the NFL 2000s All-Decade Team. On the front left tail is the Reebok manufacturer’s tag with two attached flag tags reading “44” and “2” L.B.”. On the right inseam is a flag tag with jersey materials and washing instructions. 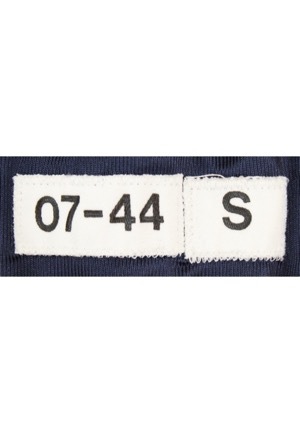 In the rear neck are two white strip tags reading “07-44” and “S”. in black. 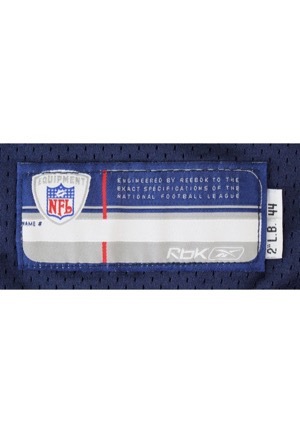 On the v-neck is the official “NFL EQUIPMENT” shield logo. 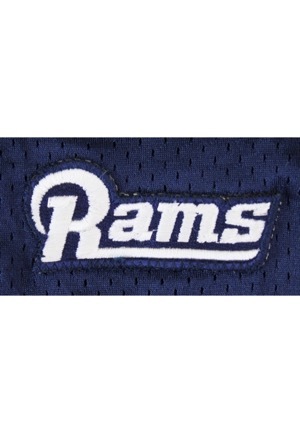 Adjacent below reads “RAMS” embroidered in white on blue. 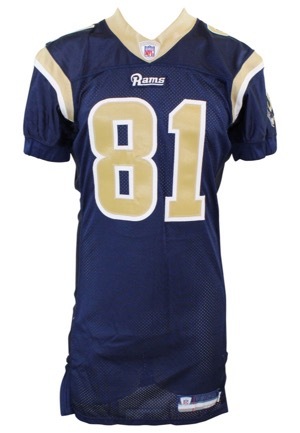 On the front, back and on both shoulders is the player number “81” done in gold on white tackle twill. 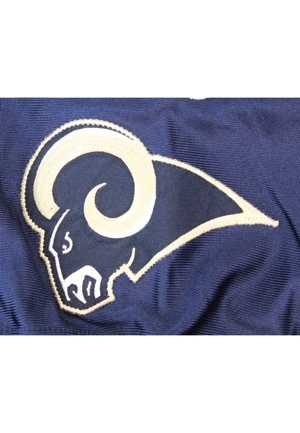 Below the player numbers on the shoulders is a “Reebok” logo embroidered and a Rams team logo patch. 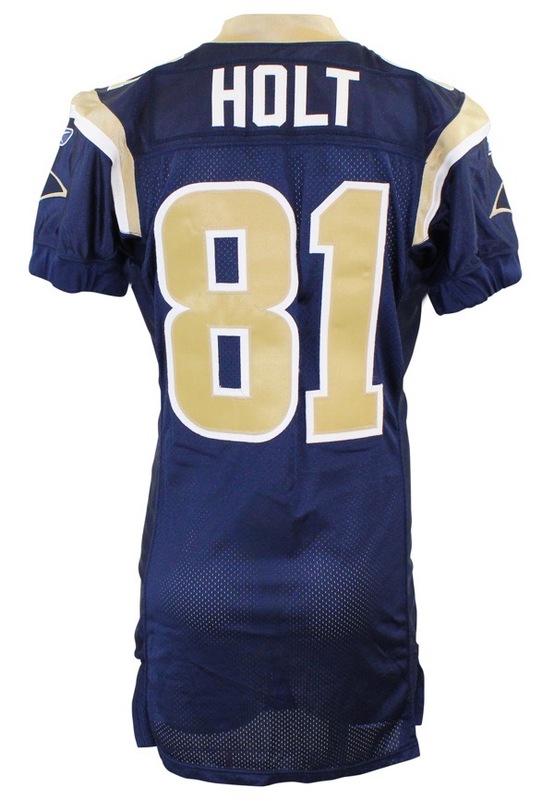 Across the back on a navy blue nameplate is the player name “HOLT” in white tackle twill. This jersey is properly tagged, was presented to us as game-used and in our opinion shows appropriate use.